The expansion has slowed significantly, is this the end of the cycle? 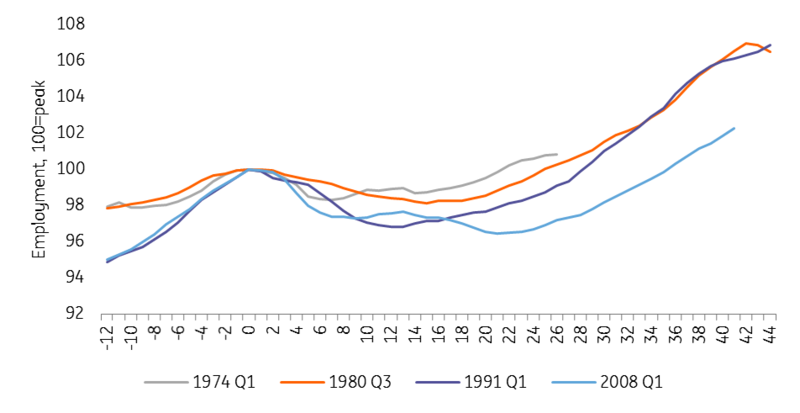 So what do Eurozone recoveries die of? The discussion between optimists and pessimists is getting fiercer. Recent developments have sparked uncertainty about the length of the expansion in the Eurozone as confidence among businesses and consumers has been hit by concerns about a trade war, Brexit, higher oil prices and emerging market turmoil. This does not necessarily mean that the economy is set for a severe decline. The investment environment remains favourable with low borrowing rates, eased credit standards and high levels of capacity utilisation. Consumption continues to profit from lower levels of unemployment and cautious increases in wage growth. Still, with lower confidence, capacity constraints and slowing demand from outside of the Eurozone curbing growth at the moment, the economic cycle does seem to have peaked in 2017. According to our latest forecasts, growth will slow markedly this year, dropping from 2.4% in 2017 to 2.0% this year. As output gaps have closed faster than initially expected by the IMF, it looks like the Eurozone economy is currently set for a loss of momentum and not for an upcoming recession. 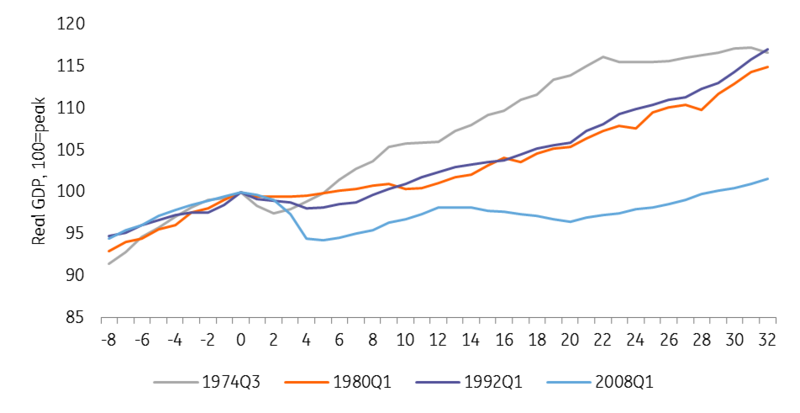 Empirical evidence of previous business cycles shows that recoveries in the Eurozone indeed don’t die of old age. Instead, it always needs a special trigger. This can either be the central bank hitting the interest rates brake too early and too strongly or an external event, like an oil crisis or a financial one. At the current juncture, it looks highly unlikely that the European Central Bank could do anything that would harm the economic expansion. 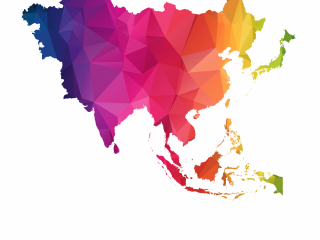 However, a slowing of the US and Chinese economies, additional weakness in emerging markets, trade tensions or a new existential crisis of the Eurozone could obviously trigger a new recession. Or at least lead to a severe slowdown. 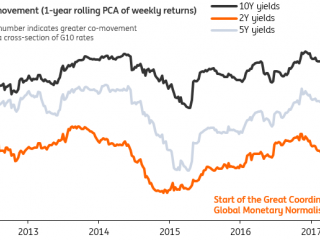 If one or more of the ample downside risks were to materialise, the policy response would likely be very weak. At every recent ECB press conference, President Mario Draghi has called for more structural reform and fiscal responsibility of the Eurozone economies and a comprehensive capital markets and banking union. But looking at Draghi’s call from the perspective of a next possible recession reveals that the ECB may not be able to fight the next crisis all by itself again. This year, the Eurozone economy is about to end the fifth consecutive year of economic growth. 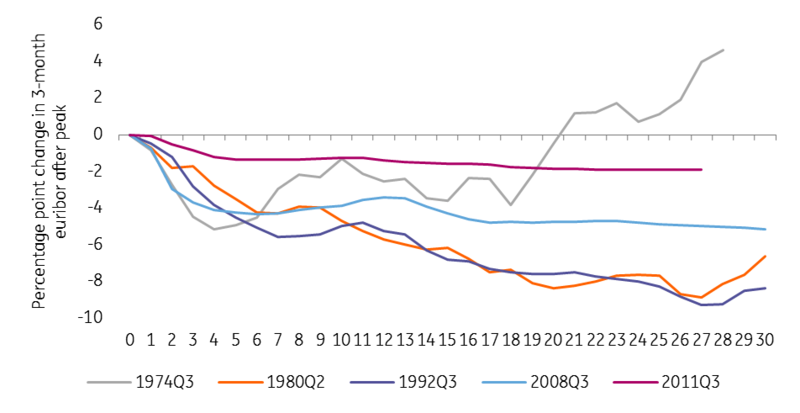 However, in recent quarters, growth has started to slow down, and the combination of weaker data since the summer and increased external risks has fed the debate on whether or not the Eurozone is already heading towards a new recession. Let’s forget about external factors for a moment and just look at the domestic dynamics of the Eurozone recovery. Currently, only Germany is in a late stage of the cycle, at least compared with previous cycles. 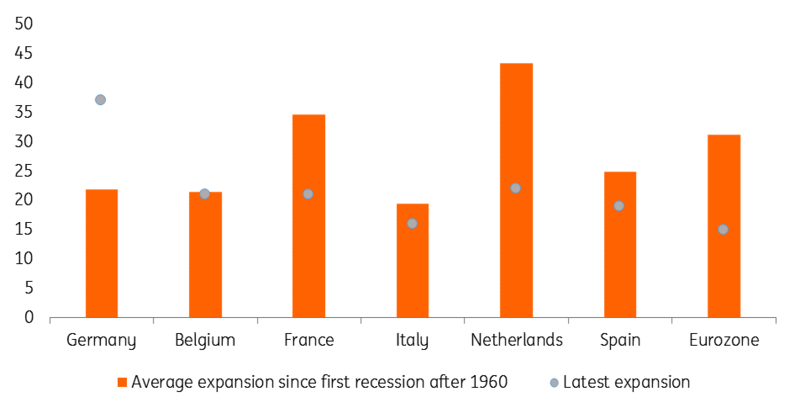 The rest of the Eurozone still has ample room for economic expansions. Even positive output gaps in some countries are no reason for concerns. The estimated output gap according to the IMF of 0.3% for the Eurozone is still significantly off the levels seen at the end of previous cycles. The simple length of the current expansion in the Eurozone warns against too much pessimism and brings back memories of Ben Bernanke’s statement that recoveries don’t die of old age. To follow this analogy, the current expansion should be in its midlife crisis. Also, the recent experience of the German economy suggests that a mix of favourable external and internal factors can easily extend a cycle beyond its historical length. Let’s take a step back and investigate what has actually triggered recessions in the Eurozone in the past. 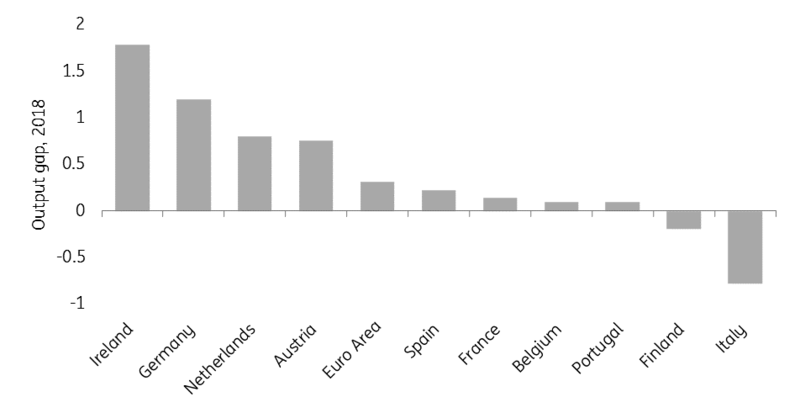 Since the second world war, Eurozone-wide recessions have been related to oil crises and the subsequent reaction of central banks, financial crises and existential problems (the euro crisis between 2010-2012). 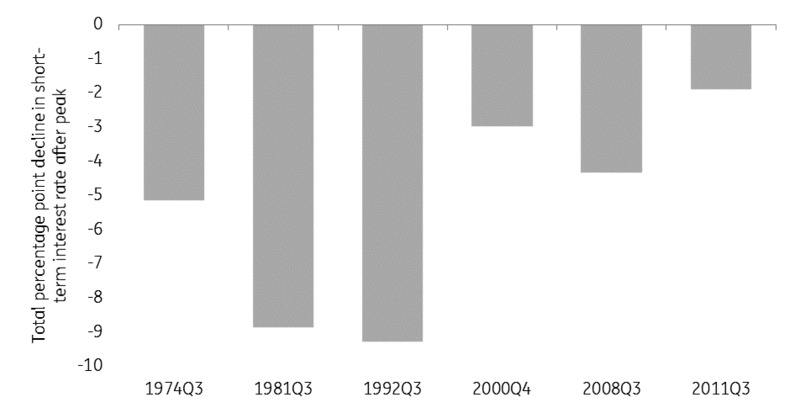 The Center for Economic Policy Research (CEPR) defines official Eurozone recessions in its Business Cycle Dating Committee since 1970. The first oil crisis caused the first recession that started in 1974, the second started in 1980 and was related to stagflation after the second oil crisis and the subsequent reaction of central banks. The recession in 1992 was caused by deteriorating global conditions thanks to the savings and loan crisis in the US, the end of reunification stimulus in Germany and was prolonged by the currency crisis related to the European Monetary System (EMS). The 2008 crisis initially started in the US subprime market but spread out quickly throughout the financial system, and the Greek problems started the 2011 recession. There have been many recessions with different causes, plenty of which stemmed from outside the monetary union. Applying previous experiences to the current situation and assuming the ECB will definitely not raise rates too quickly means that downside risks would have to materialise for a possible recession in the Eurozone. 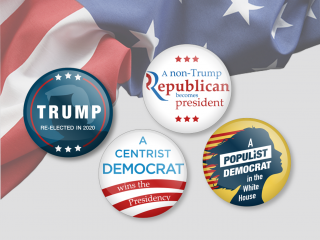 While the trigger for a next crisis is often missed, a few downside risks that have the potential to be the next trigger for a recession could include contagion from a possible US slowdown, a fully-fledged trade war and another existential crisis in the Eurozone. 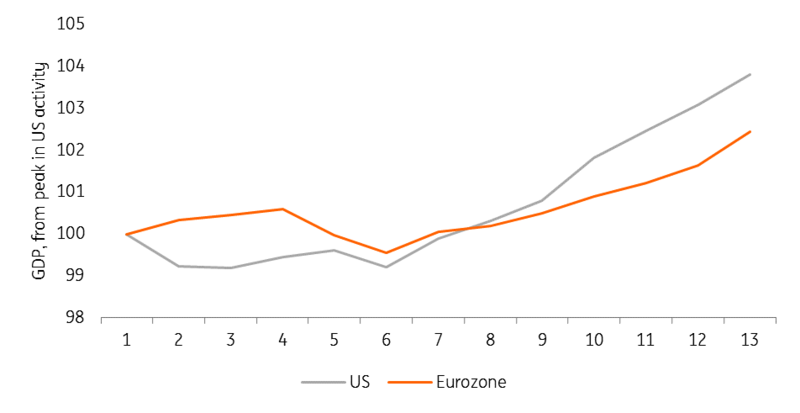 As regards contagion from a possible US slowdown, the old rule of thumb that the Eurozone lags behind the US cycle by six to 12 months currently only holds for Germany. Interestingly enough, the German and the US cycle share many characteristics in terms of length and labour market performance. However, due to the euro crisis, the Eurozone as a whole has fallen behind in terms of the cycle. Therefore, the question is whether a new dip in the US would hit the Eurozone with the current lag of around three years or with the old traditional lag of six to 12 months. In our view, only strong domestic demand and increasing trade ties with the rest of the world could shield the Eurozone economy against the usual contagion. Regarding the adverse impact from a fully-fledged trade war, all has been said. It is not our base- case scenario but a fully-fledged trade war with a further escalation between China and the US and elevated tariffs on EU goods could obviously and easily push the Eurozone economy towards the brink of a recession. The current conflict between the European Commission, the European Council and Italy on the Italian fiscal plans shows that the risk of another existential crisis further down the line can never be ruled out. In our view, the driver will not so much be short-term tensions between Italy and the rest of the Eurozone, but rather the fundamental and still unresolved issue of what is the right policy prescription in the Eurozone. The swelling conflict between austerity measures and structural reforms on the one hand and US-style fiscal stimulus, on the other hand, will always have the potential for another existential crisis, be it through financial market reactions, electorate swings or the banking system. All of the above three scenarios clearly have the potential to push the Eurozone into a recession, at any time in the next couple of years. They are not our base- case scenarios but we would be naïve to completely rule them out. Imagining that the unthinkable would happen and the Eurozone would enter a recession or a protracted period of significantly-below-potential growth rates any time between now and 2020. What could a policy response look like? First of all, such a situation would hit the Eurozone and the ECB at a time at which interest rates have hardly – if at all – increased, giving very limited leeway for the central bank. In fact, at least when it comes to policy rates, the monetary response to the euro crisis was already the weakest so far. At the same time, it is doubtful whether the ECB, then under a new president would again engage in a large-sized quantitative easing programme when the balance sheet of the ECB has hardly shrunk. With monetary policy probably being hampered, a recession in the coming years would put enormous pressure on fiscal policies. In fact, it could very well be that the current discussion on the Italian fiscal plans would then apply to a wide array of Eurozone member states. Contrary to the current Italian case, the Eurozone’s fiscal rules allow for fiscal stimulus in special circumstances. However, a Eurozone-wide fiscal stimulus to tackle a recession could easily re-spark animosities between the core and peripheral countries.